1 Salad, complete with a whole bunch of lettuce, sliced carrot, sliced sweet pepper, 3 sliced Grape Tomatoes and 1 Tablespoon Dressing… that’s all I had left! and… 2 Hard Boiled Egg Whites. See what I mean? Like, how boring, and strange of me? Oh well! I save one Apple and a Greek Yogurt for later and I’ll be roarin’ and ready to go for my long workout evening. 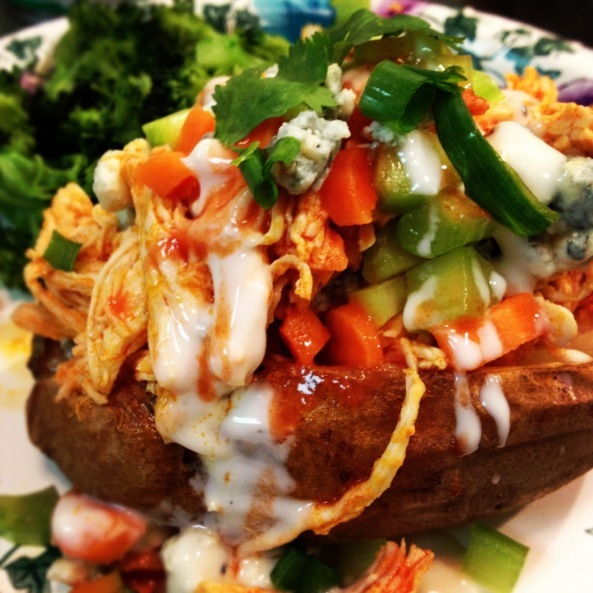 If you didn’t see this ridiculous all-in-one dinner of Buffalo Chicken Stuffed Baked Potatoes, check it out now! For this lunch, I used the leftover chicken I had while making this recipe. I love to make enough food the night before that I’ll be able to use it over again for lunch. It’s a great way to save money and time! 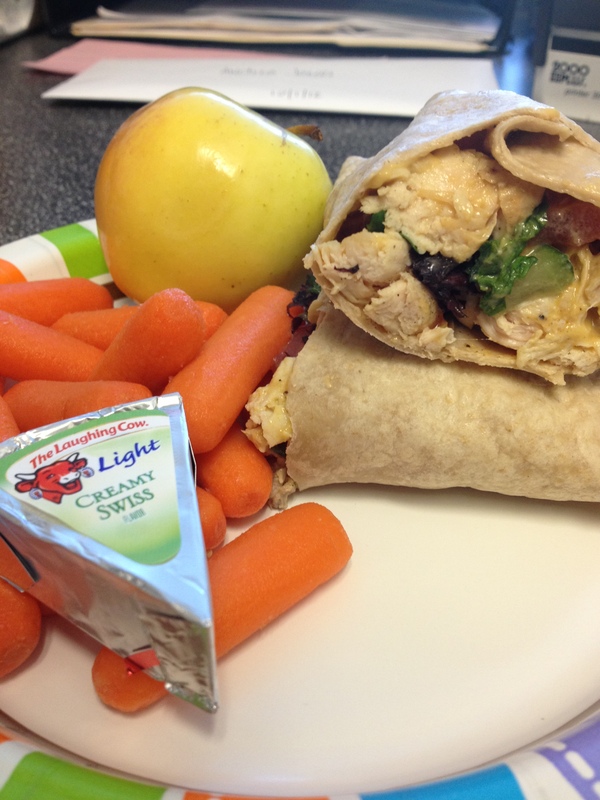 Directions: Starting with the chicken, pile everything onto the middle of the wrap. Drizzle with the honey mustard. You can use more if you’d like… mustard is the best dressing you can use (in terms of healthy!) Fold the wrap first lengthwise, then from the bottom, and then the long side. I recommend starting the folding already on a sheet of foil, so you can use the foil to keep everything in place. (Burrito style) When you go to eat it, pull the foil back and keep it on the bottom so it doesn’t fall apart.